Most of the stuff on my "future experiments list" falls into that category. The only evidence that I have on some of these subjects is proof of an abundant lack of evidence. The problem is that the manners and methods that I would need to follow to develop reliable evidence will include expensive items like fMRI time. Given the time and access I would like to get a picture of my brain activity at rest, in normal function (dishes, cooking etc), and when deeply involved Pencak Silat. Most folk will not believe what they see, if what they see is beyond their current thought patterns. Fortunately Dr T T Brown did not restrict his vision. "Dr. Townsend T. Brown discovered that strong electromagnetic fields produce an anti-gravity effect. Gradually his work got attention. 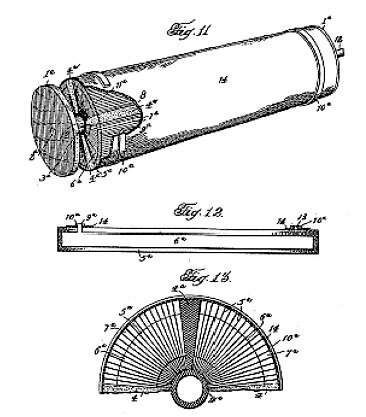 You can see here one of his earlier prototypes, in the shape of a cylinder. This is actually a very simple physics principle and shows the hidden unity between gravity and electromagnetism. All that is required, ultimately, is high voltage — higher than we typically use in any household appliances. 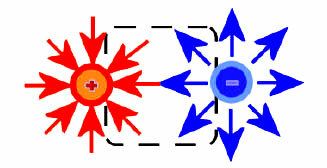 In Brown’s designs, the negative pole is much larger than the positive pole. As above, so below.... demonstrated so many times in the various ceremonies of Freemasonry. Raisings, black and white, double cube with books of law... this book speaks just as much to the scientist as it does to the mystic... all that is wanting is the key. Levitation is a raising. Sow the seed deep enough and it will over time rise to the surface... even enough to kill the physical body. A good number of our diseases begin in the mind, our minds and the minds of others. The tesseract demonstrates beautifully the concept of space/time and time/space. They are the one thing. All I can say is "oaky, tell me more." Physics is not my field. I am uncertain as to how an electro-magnetic field could cancel gravity. I am sure that it could mitigate the effects of gravity on a particular body within specific confines much like the aerodynamics of an airplane mitigate the effects of gravity by make use of basic principles of matter to create lift. I have heard of the mag-lev trains that have been proposed. I look forward to that. Regardless mag-lev is quite a bit different from a fakir using the power of his mind to float. There seems a misunderstanding by some of what the intentions if skeptics are. There are clearly things like magnets with an attraction/repulsion force. Most skeptics recognize this, and recognize that there are possibilities beyond what can be proven. Dr. T.T. Brown could well have been a genius, and nothing is dismissed out-of-hand by a skeptic. If the evidence is not forthcoming or the results cannot be falsified or explained by simpler scientific rules, I cannot see how it has bearing on claims of some that they can paranormally levitate unassisted when there has been no documented cases under close scrutiny that were proven valid. I am certain Rembrandt would be as skeptically open to evidence. Of course, I would be entirely pleased to see these things. I think anyone would. Unfortunately, the evidence has not been forthcoming. Diagrams of devices of which there are, to my knowledge, no working examples are common. Less common are working examples of such devices. My wife is a scientist, and much of what she does in her work would blow minds. It is all within the realm of tested science. I would really like to see evidence for the various mystical phenomena. If it is true then it can be studied, measured, or recorded in some way. KNOs1s, what field does your wife work in? I am over on the psychology side of the street, most focus is on the face perception (biology and culture). Married above you station then just like I did. I know where you are coming from Bro. My wife is far smarter and has that smile that lights up a room (and most assuredly my life). She works in finance so she keeps me from investing in beer and pizza. Her ideas on retirement are more coherent than my own. I have often caught heat for my skeptical approach to topics. It is often misconstrued as an attack on the idea or premise. That is simply not true. Skepticism is not a rejection of or an attack on an idea, it is a critical examination of the idea. When I was younger, I enjoyed looking into claims. So much so, that I would go farther than just the gleen about U.F.O.s, Bigfoot, Holy Grail, Hollow Earth, &c. Unfortunately, most of the gleen cracked like eggshells under even the lightest touch. So, I still believe all of these things remain *possible*, yet I cannot utilize them as *probable*. I think I'm a bit like Houdini in a small way. Houdini wanted contact with those who haved passed, and destroyed many professional diviners in his search. Just because it feels good and true doesn't mean it is good and true. If it is good and true, it can be verified in some meaningful way. There is nothing that I would like more than to believe based on evidence some of the things that I have seen. Unfortunately I have found out about suggestion and trance states using music, dance etc. That did not make the experience any less striking for me personally but it does call into question the existence of those "other things." I would very much like to be able to believe in those several phenomena. I just can't because there are so many cranks out there and all too many well-meaning but horribly ignorant amateurs running around. Being skeptical is a just a tool to separate the wheat from the chaff. Believe it or not, I am skeptical too. I did not believe that the Swine Flu was ever going to be a pandemic. I did not believe that moon landing photos were real. (I do believe we landed on the moon though). I do not believe child immunisation is safe as it is currently delivered. I do not believe that sunscreen and sunglasses are good for one's health. I do not believe that 'global warming' has anything to do with what we humans do. Climate change is happening, but that is due to the oceans warming, not the air. The oceans are warming because of a normal process that happens over vast time lines-and it is tied to sunspot activity on the Sun. The water level will rise because the icebergs are melting from below the surface, not from above the surface. Look for many more earthquakes, and volcanic action near the poles. Our next disaster will be a mini ice age.... not a hot house affect. And it will probable happen in our time. Remember last winter? I do know that 'the invisible' is intellegent and can communicate with us. I am even given the names of authors or people to seek out in dreams... name I have never heard of before. If you took your Freemasonry to the next level... you would also begin to realise that that point within, from which you cannot err, is a very real and reliable information centre. Hence my attachment to the moving tesseract. What if 'the truth' is not what you wish? If it is okay to assume that others have not taken Masonry to the "next level" is it okay to assume that others are not up to my understanding? If we can put that egoist BS aside we could do something productive here. BTW man doesn't fly. He doesn't jump off of his porch and soar into the sky. He uses machines that were developed by scientists and engineers, not gurus.